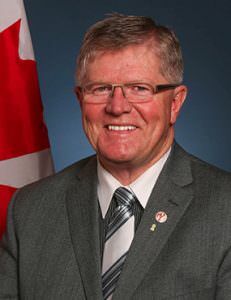 TheGunBlog.ca — Canada’s Senate committee reviewing Bill C-71 voted today to weaken the government’s planned law against hunters, farmers and sport shooters, but the senator leading opposition to the bill said the government will probably ignore the changes. Update 23:40 Toronto time: A senator said she will propose to the Senate to inject a handgun ban into the bill after her pitch to the committee was rejected. Below is a summary of what happened today in committee, followed by TheGunBlog.ca’s exclusive e-mail interviews with Senator Don Plett of the opposition and with Senator André Pratte, the Senate sponsor of Bill C-71. The Standing Senate Committee on National Security and Defence in Ottawa concluded its analysis of Bill C-71 today with a clause-by-clause review. Senate transcript usually takes a few days. No RCMP Monopoly. The government will retain its ability to override and fix bad decisions on firearm classifications by the unelected and unaccountable federal police. The bill had proposed to give the RCMP a monopoly. No New ATTs. Sport shooters won’t require special police Authorizations To Transport handguns and certain rifles and shotguns. The bill had sought police ATTs to travel to repair shops, gunshows, and airports or the U.S.
No Lifetime Background Checks. Police won’t be required to run lifetime background checks on every man and woman with a firearm licence or every new applicant. Police will retain the authority to do so as needed, as they do now. Government Accountability. 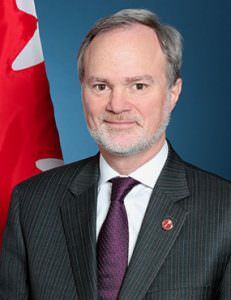 The Minister of Public Safety is required to report to parliament on how firearm-classification decisions in the past calendar year affected individuals and businesses. Harassment. Bill C-71 creates new restrictions, prohibitions and penalties for lawful firearm owners. Gun Bans. CZ 858 and SAN Swiss Arms rifles will be prohibited and eventually confiscated from more than 10,000 owners. More Gun Bans. 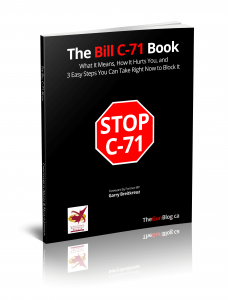 Bill C-71’s Section 12 suggests more prohibitions are coming. Connections Registry. Bill C-71 will violate personal privacy by building a “connections registry” of all gun owners who buy and sell any firearm from each other, including so-called “Non-restricted” rifles and shotguns. Gun Registry. Gun stores will be required to record all details of personal firearm purchases and keep the data for at least 20 years. Senator Marilou McPhedran proposed amending Bill C-71 to prohibit and confiscate all handguns from their lawful owners, except elite international competitors (e.g. Olympics). The committee defeated her motion with six against, two in favour (McPhedran and Mobina Jaffer), and three abstentions. Convoluted Bill. The bill is so complex, confusing and convoluted that several senators on all sides of the debate got confused in how to vote on amendments. (e.g. Yes or No to an amendment to eliminate a prohibition?) The committee suspended the live webcast about five times to consult in private on how parts of the bill interact. RCMP to Publish FRT. The RCMP said it is working to publish its secret database on firearm classifications, the so-called Firearms Reference Table (FRT). See Senate video clip via tweet by Christopher di Armani. Senate Committee reviewing Bill C-71 has suspended live webcast to figure out how law works and how clauses relate to each other. One more reason to kill it. They've been studying it for six months and can't understand it. How will ordinary citizens, police, lawyers, judges? The committee will submit its report to the full Senate this week, Pratte said. The Senate will vote on the committee report and may accept or reject the amendments. The bill then goes back and forth between the Senate and the House of Commons until they agree on a final text for adoption. The Liberal Party government controls the House of Commons and the Senate, so the original Bill C-71 will probably become law by the end of June at the latest. The government is preparing mass prohibitions and confiscations beyond Bill C-71. Minister Bill Blair is overdue presenting his examination of new bans on handguns and semi-automatic rifles and shotguns. He said last month the government is planning “pretty big measures.” He told the committee on Bill C-71 last week the government is “taking a very hard look at” the type of firearms used in mass attacks including last month’s New Zealand massacre. The Senate’s Committee on National Security today adopted amendments to bill C-71 (firearms) which considerably weakens the bill’s provisions. I hope that the full Senate will defeat these amendments. Public safety depends on it. I am of course disappointed. In effect, the amendments adopted in committee today remove most of the provisions of the bill: deeper background checks, ATT regime, RCMPs final determination of firearms classification. These provisions were at the heart of C-71 and of the government’s election platform in 2015. They would have improved public safety while having very little impact, if any, on law-abiding gun owners. The committee’s report will be tabled in front of the full Senate later this week. I hope that a majority of the honourable Senators will find a way of restoring the bill to its original version, so that measures can be taken to prevent violent or suicidal persons from getting their hands on a gun and to facilitate police investigations. The outcome of the committee’s examination of Bill C-71 has clearly demonstrated that not only are many Senators unhappy with this Bill, but the Canadian electorate is not happy with it. We heard from many witnesses who were very concerned that this Bill targets law-abiding gun owners but does nothing to reduce crime, apprehend criminals, or target the use of firearms by criminal gangs. It is very unlikely that the government will accept the legislation as amended by the Senate Committee on National Security and Defence. In fact, because the Chamber is now dominated with Trudeau-appointed Senators, they are likely to undo many of the changes made. At clause-by-clause, Senator Pratte wanted to include an observation in the committee’s report about how unhappy he was that the outcome did not support the government’s agenda on gun control. This illustrates the desire of the Trudeau-appointed Senators to facilitate rather that improve, government legislation. Gun owners and sports enthusiasts should email every ISG (Independent Senators Group) and Liberal Senator and ask them to support these amendments. Needless to say, the real battle over this legislation will be during the election in October. Please support TheGunBlog.ca with a donation if you appreciate our exclusive reporting and interviews. You can still subscribe to our private e-mail updates for free.